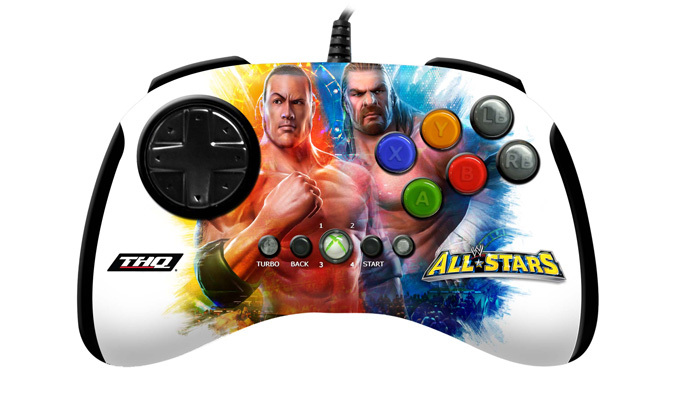 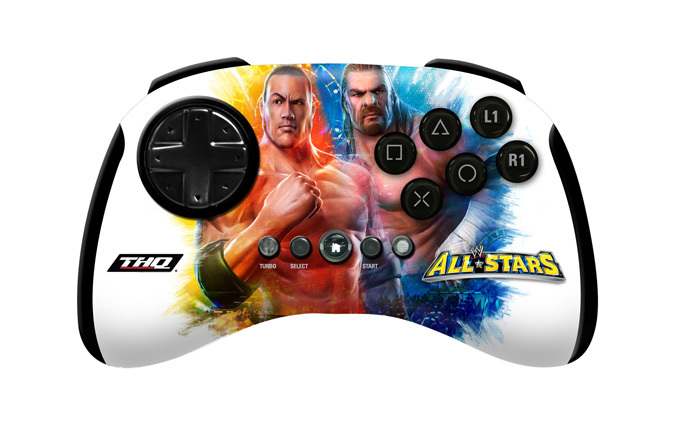 For all the fans of Undertaker, The Rock, Triple H, Steve “Stone Cold” Austin and all Wrestling legends, Mad Catz announced a range of licensed products themed with WWE Westlers for the release of WWE All-Stars game. The first is the arcade-style BrawlStick which feature ergonomic slanted top panel, Dual-speed Turbo functionality for each button with LED Indicators, D-Pad switch that let you to alternate between D-Pad and Analog Sticks for maximum control flexibility, plus Start and Select/Back Buttons will be located on the back of the BrawlStick to minimizie the risk of accidental interruptions. 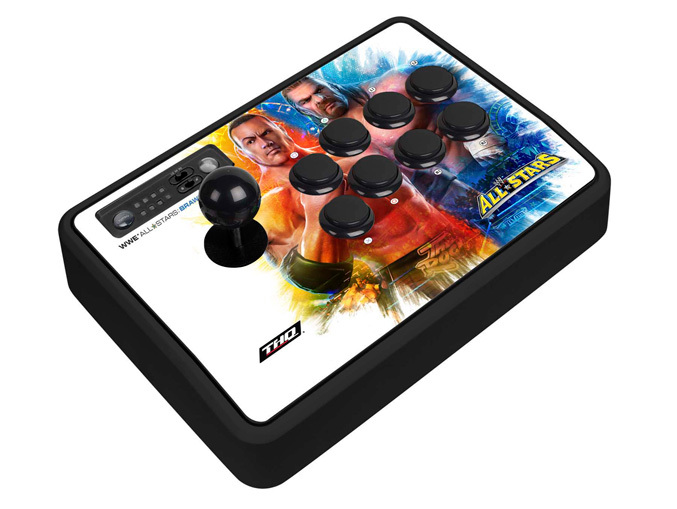 The stick is available for both PS3 and Xbox360 and will cost you $79.99. The Arcade BrawlPad is like traditional console controller and has an enlarged circular eight-way floating D-Pad and arcade style six-button configuration, as well D-Pad switch. 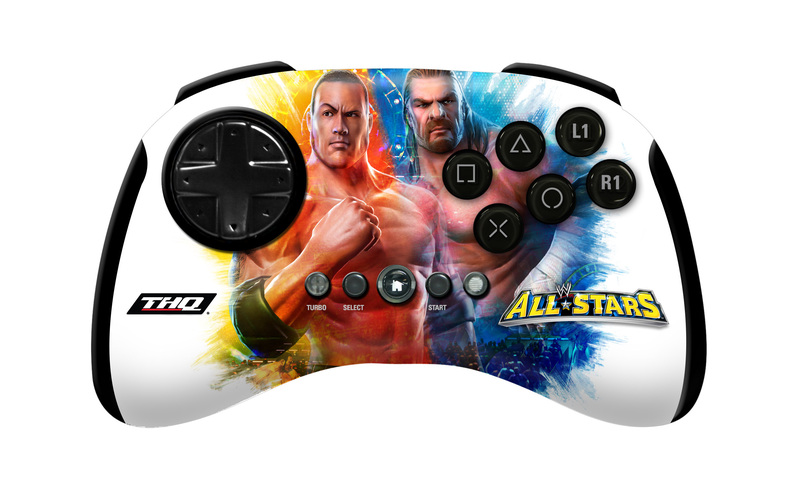 The Xbox 360 version will be wired, while the PlayStation 3 version is wireless controller and both will be $39.99. 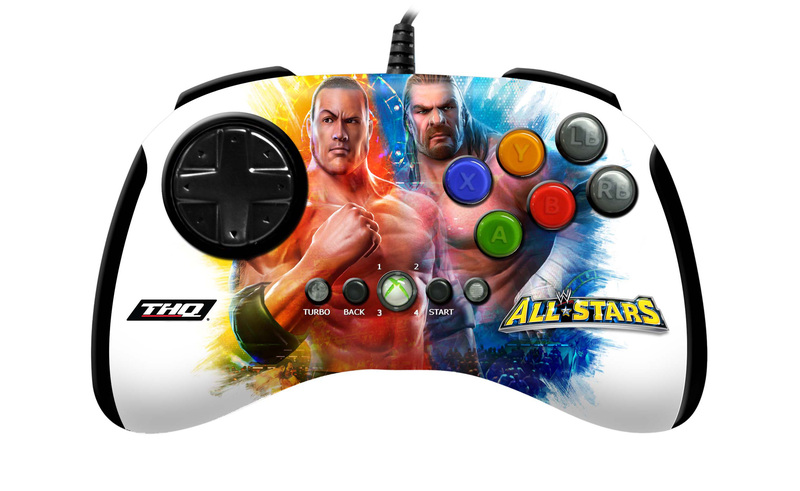 The new Mad Catz Arcade BrawlPad and BrawlStick are expected to begin shipping worldwide for the launch of the game on March 29, 2011 in North America and April 1, 2011 throughout Europe.